Let's face it. We are all somehow in the same boat when we arrive on a campsite. The suitcases have barely been removed from the trunk of the car or we already swear only by them. Them? The water slides rising high up in the sky on the most beautiful campsites in France. These are the two largest water slides of the Côte d'Azur. 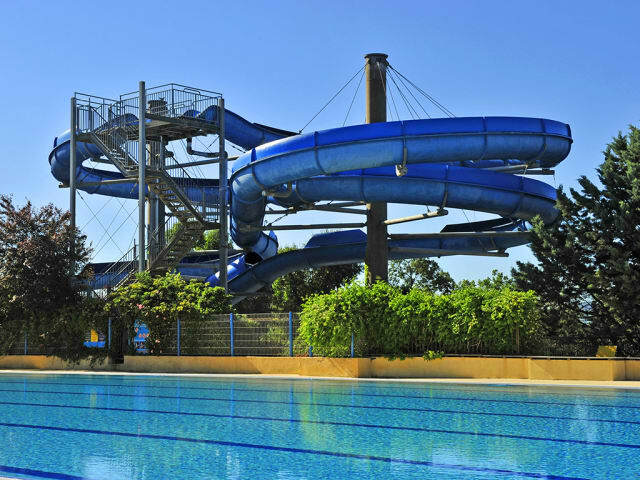 Installed by the Olympic pool of campsite Le Domaine des Naiades, in Grimaud in the Var, and in the Gulf of Saint Tropez, these spectacular slides guarantee all camping guests their daily thrills. With a total length of 75 metres, it needs several tens of seconds to whizz down completely these two slides of Le Domaine des Naïades! An exceptional water complex with spectacular water slides. That's the way we can define the tubular and sliding constructions of campsite La Sirène. 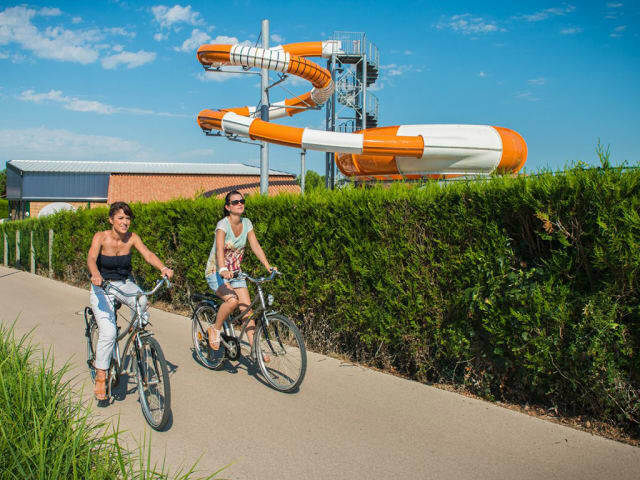 Located in Argelès sur Mer, in the Pyrénées Orientales, this 5-star campsite boasts one of the largest residential water parks of France. 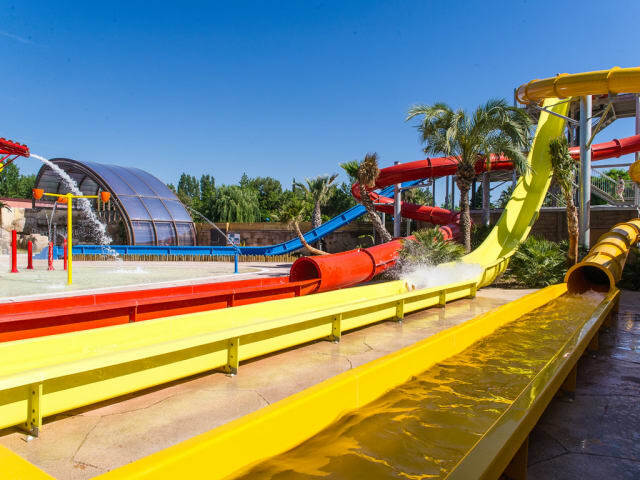 Covering more than 10,000 m², it consists of several covered pools and lagoons, but also and of course of impressive water slides, including a multi-track mat-racer. Note that they all have a water break system for an arrival without a pool! This is probably one of the most spectacular water slides of France. Several tens of meters long, the Spacebowl's characteristic is to be equipped with a siphon of more than 1.20 m., only recommended for real thrill seekers. 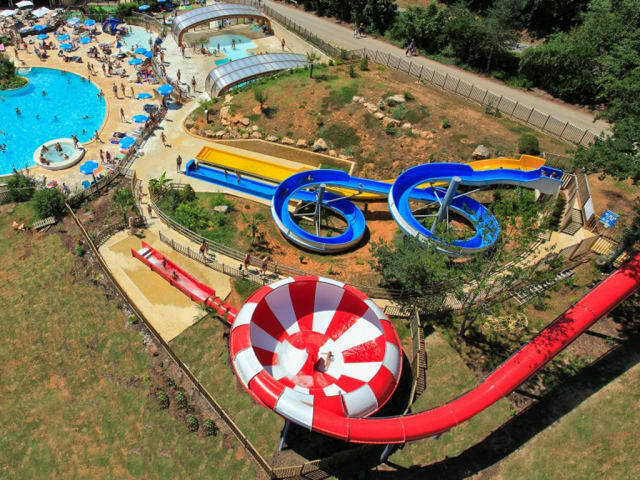 Around this slide, the Water Park of campsite Le Moulinal in Biron, in the Dordogne, consists of several other water slides, paddling pools, a lagoon of 300 m² and an indoor pool. 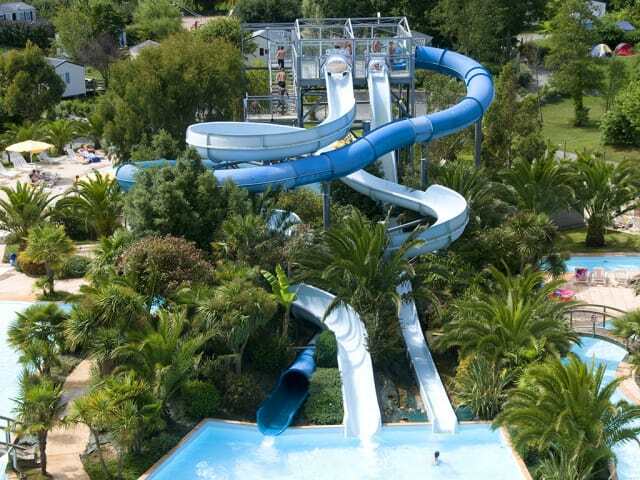 In Portiragnes in the Hérault, there's a campsite which water park includes no less than six large slides! 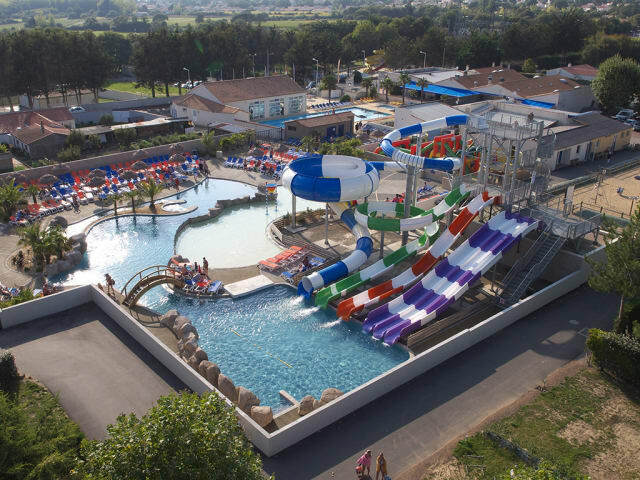 This 4-star campsite is Les Mimosas, having one of the largest residential water parks of the department. 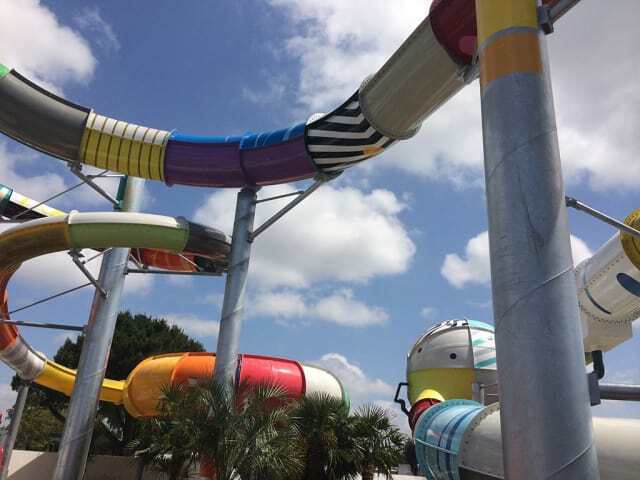 The six slides are all different and offer tourists different sliding experiences for each of them. There is a small slide for the little ones, a multi-track that can simultaneously accommodate up to six people, a large one-track tube slide, a Space Hole and two Ka-mi-kaz which boast breathtaking turns allowing crazy speeds! 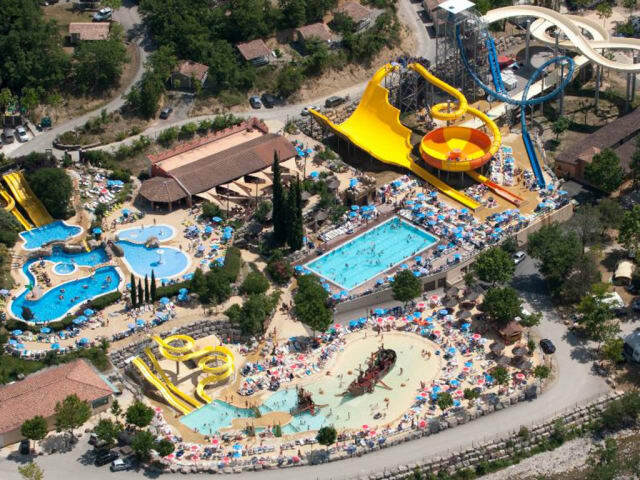 On campsite Le Pommier, located in Villeneuve de Berg, in the Ardèche, there are so many spectacular slides that it is hard to count them all. It must be said that this campsite has the largest residential water park of France. It is that large that it is not only reserved for guests of the property, who can of course enjoy it for free, but it is also open to the general public, who will have to purchase a ticket. 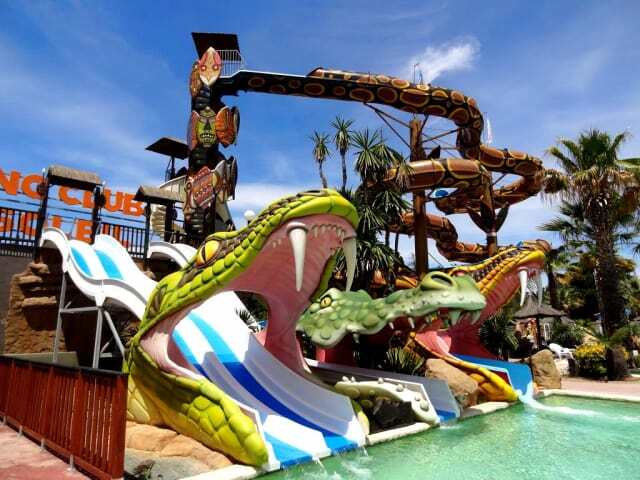 Called Aqua Ardèche, this water park brings together some of the most spectacular slides of France, like the Multihill, the Anaconda, the Hillracer, the Super Anaconda, the Viper, the Aqualoop or the Family slide.